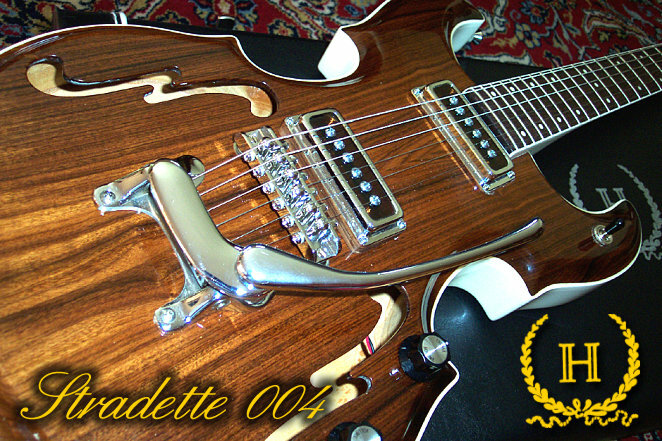 THIS #004 IS A REPLICA OF THE VERY FIRST STRADETTE EVER MADE! Special tailpiece made just like the very first one. Pickups hand-wound by the late Bob Vinn, a long time friend of Semie Moseley and Bill Gruggett. 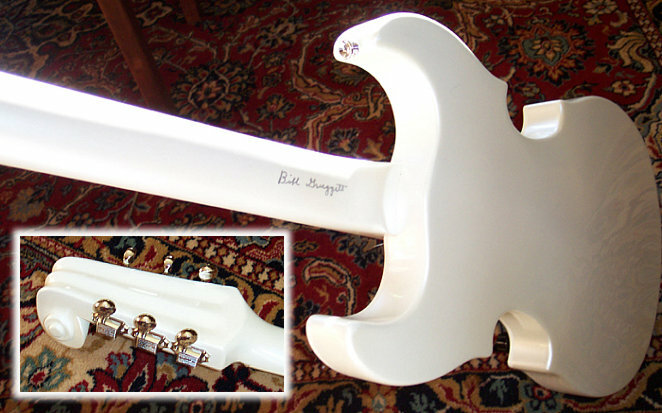 The pickup windings are exposed on each coil with a clear sheet of plastic over each. This AMAZING one of a kind replica is the only Stradette that will be produced with these special features!! SOLD! Price is $5000.00 US dollars SOLD! 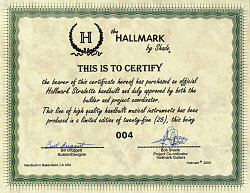 (includes shipping) for this once in a lifetime opportunity to own this #004 Hallmark Stradette guitar in a historic and very limited hand-built series by master luthier Bill Gruggett. All inquiries can be sent through the contact page on this website.